In a tribute to Albert Einstein’s prediction of gravitational waves in 1916, scientists have finally detected the mysterious waves a century later, thereby deepening our understanding of the universe. From time immemorial, scientists have tried to unravel the mystery of the universe. About 1,500 years ago (499 CE) the great Indian scientist, Aryabhata, explained why people and objects do not skid even when the surface of the Earth was spherical in shape and floated in the space without any support. In his notable work Aryabhatiya, he pointed out that all objects cling to the surface of our planet like petals of the spherical kadamba flower. He also speculated an attractive force of the Earth to explain why things cling to its surface and not slide down. After Aryabhata, Brahmagupta correctly postulated that attraction is directed towards the centre of the Earth on all points on its surface. Bhaskaracharya II, who lived in the 12th century, also mentioned something like gravity attracting objects towards the Earth. In 598 CE, some Indian astronomers upheld the orthodox Puranic concept of the flat, circular Earth and argued against the spherical theory. If the Earth were spherical in shape as propounded by Aryabhata, they argued that “stones and trees would fall from the Earth”. In 1030, Persian astronomer Abu al-Rayhan al-Biruni came to India and wrote Ta'rikh al-Hind, which he later translated it into Latin as Indica. From Al-Biruni we understand that Brahmagupta (598 CE) had aptly pointed out that “all heavy things are attracted towards the centre of the Earth” and asserted that “attraction is directed towards the centre of the Earth”, thus enabling “The Earth on all its sides to be same; all people on Earth stand upright everywhere, and all heavy things fall down to the Earth by a law of nature”. He added that the nature of this attractive force to draw objects towards the surface the Earth is like the nature of water to flow, fire to burn and wind to set in motion. Italian scientist Galileo Galilei performed painstaking experiments to understand gravity. In an ingenious experiment, he allowed balls to roll along an inclined plane and measured the distance covered by it for every unit of its duration. To his surprise he found that given twice the time, a ball would travel four times the distance, irrespective of the slope of the inclination. He wondered what if the inclination was the limiting case, completely vertical, and came to the conclusion of uniform acceleration under free fall. This implied that heavy and lighter balls, if dropped from the same height, should accelerate by the same amount within a given time duration, and hence, reach the ground at the same time. This contradicted our intuitive feeling that heavier objects fall faster than lighter ones, the claim made by none other than Aristotle himself. 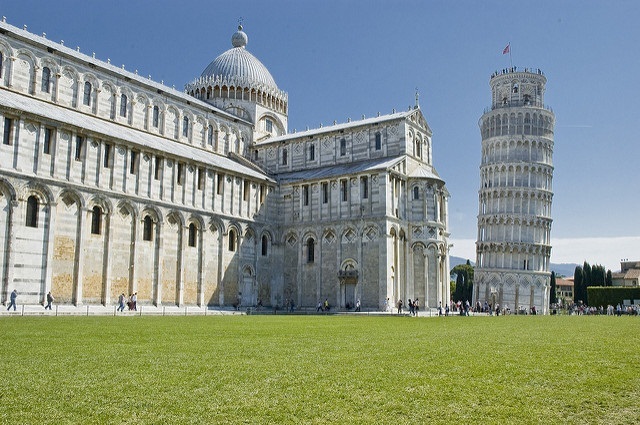 According to a biography by Galileo’s pupil Vincenzo Viviani, in 1589 Galileo dropped two balls of different masses from the famous leaning tower of Pisa, from where both the objects kissed the ground at the same time, thus vindicating his theory. 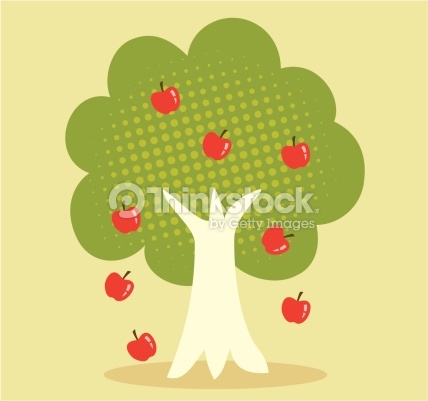 According to legend, Isaac Newton got his inspiration on the universal law of gravitation when an apple fell on his head while he was daydreaming under a tree. After the incident, Newton was able to establish the cause of the motion of orbit of the Moon around the Earth to be the same that made the apple fall on the Earth. This notion led him to invent the theory of universal gravitation. From Johannes Kepler’s laws, the acceleration of the Moon was computed to be 0.00272 m/s2 (metre per second square) while the computation of apples falling on the Earth’s surface was a whopping 9.8 m/s2. 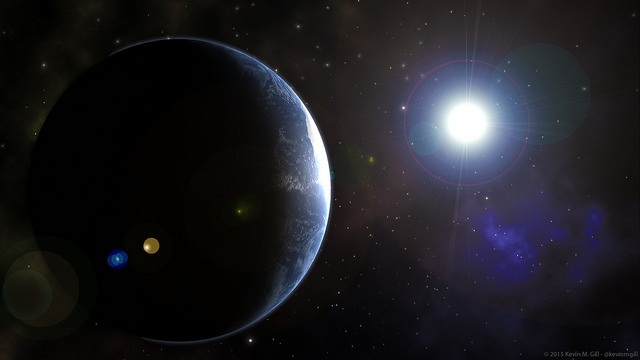 If Earth’s gravity is acting on both the objects, then it should be weakening in strength with the increase in distance. By comparing the distance of the Earth from the Moon, one can dismiss the height of the apple tree and consider it to be at one Earth radius from the centre of the Earth. The Moon is about 60 times the radius of the Earth away from the centre of the Earth. While the distance is in the ratio of 1:60, the acceleration is of the ratio 0.00272: 9.8 (about 1/3,600 or 1/(60)2). That is why we can see that as the distance increases to 60 times the strength of the gravity reduces to 1/(60)2. Thus, Newton postulated that the force of gravity follows an inverse square law. For a given amount of impulse force, a bicycle will accelerate much more, than say, a scooter. Thus, acceleration is proportional to mass. Putting both together Newton arrived at the famous universal law of gravitation that the “force of gravitational attraction between any two objects is directly dependent upon the masses of both objects and inversely proportional to the square of the distance that separates their centres”. In the autumn of 1907 while examining a new batch of patents Einstein decided to take rest. He leaned back in his chair, pushed some papers out of his way and swung his feet upon his desk. At that moment observed a construction worker standing on the rooftop of the next building. According to Einstein, gravitation is acceleration. Gravitational mass is the same as inertial mass and the scientist asserted that “the effects we ascribe to gravity and the effects we ascribe to acceleration are both produced by one and the same structure”. This assumption provided a link between gravity and mass as well as gravity and energy. Einstein concluded that mass and energy must affect the gravitational field. Space influences the motion of objects in the form of inertia. However, Einstein observed that there was no converse influence of matter on the space-time fabric. Further, the gravity appeared to be “matter-blind” and affected all objects in the same way irrespective of their mass. From this fact, Einstein derived that gravity does not depend on the properties of matter (as electricity depends on electric charge). Rather, the phenomenon of gravity must spring from some property in the space-time fabric. Einstein called this “die glückichste Gedanke” (the happiest thought) in his life. Although the ideas formed in his mind, the work of theorising it took eight more years. Finally, in November 1915, Einstein laid out his General Theory of Relativity to the Prussian Academy of Sciences in Berlin. 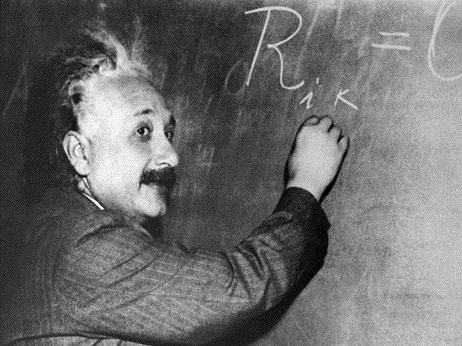 In his final lecture on November 25, Einstein produced the equations that describe the gravitational-inertial field. Described as the “most beautiful equation”, left side of the mathematical statement, Rμν - ½ Rgμν = 8 π G Tμν describes how objects warp and curve the geometry of space-time. In simple terms, we can imagine just as a heavyweight causes a dent on a mattress, massive objects warp the space-time continuum. Coming closer to a heavy mass, smaller objects naturally skid along the space-time curvature, which gives the appearance of “gravitational pull” by massive objects. In Einstein’s theory, the presence of mass or energy does not affect the bodies directly, rather if alters the curvature of the space-time first and then the bodies just naturally move along the curved space-time. Even when revolving around the Sun, the Earth always moves in a straight line. It is just that the space is bent by the presence of a massive sun, resulting in the curving of the straight line and gives an appearance of the Earth moving in an ellipse. At present, two major physical theories—general relativity and quantum mechanics are supreme in their own realms. General relativity is apt in providing excellent explanations of objects moving at speed comparable to that of light and in understanding the macro cosmos. Quantum mechanics is successful in micro cosmos, especially in the sub-atomic world. However, general relativity seems to be incompatible with quantum mechanics and breaks down, as of now. Macro and micro, however, meet in certain extreme situations. In the interior of a black hole, where the huge amount of mass is not negligible as well as in the infant stage of the universe, when the ultra-condensed matter was confined in quantum distances, we need quantum treatment of gravity to understand the physical processes. Furthermore, except gravity, the other three forces, electromagnetism, weak force and strong force have been successfully tweaked to work well under the quantum regime. Although many scientists are exploring the possibilities of combining gravity with quantum principles we are clueless which path to take. What is in store for the future is yet unknown. Nevertheless, it is indeed exciting to know that there is a world waiting outside for us to understand it better. it's nice ,make me understood the space -time relation and earth ellipse path . Its my first time visit on this website and first article reading which giving me feeling to visit again and again.